IMDEX Limited (ASX: IMD) (“IMDEX” or the “company”), a leading mining equipment, technology and services (METS) provider to the global minerals industry, is pleased to announce its recognition at the Western Australian Industry and Export Awards Ceremony held in Perth on 26 October 2017. 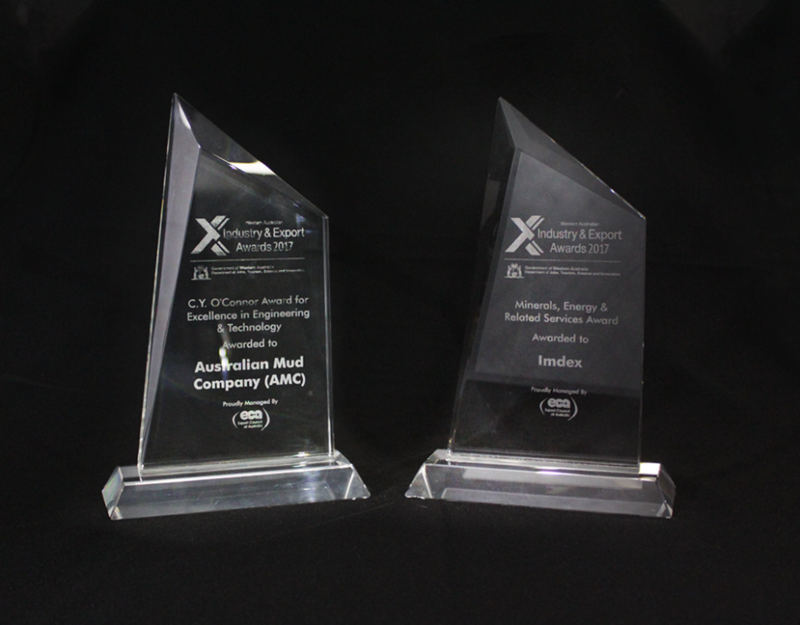 IMDEX won the Minerals, Energy & Related Services category, while the company’s leading brand AMC won the CY O’Connor Award for Excellence in Engineering & Technology for its new AMC BOSTM system. The Minerals, Energy & Related Services category identifies outstanding international success in the production or primary processing of extractive and value-added minerals or energy products, mining equipment, technology and services to the minerals and energy industries. The CY O’Connor Award for Excellence in Engineering & Technology is for excellence in engineering, technology, medical technology, information technology and/or technical research and development. IMDEX’s innovative AMC BOS™ is unique to the global drilling industry. The system redefines the way drillers can proactively protect the borehole to make operations more predictable and efficient – in even the toughest conditions. This patent pending system comprises the AMC BOS UNIT™ – an in-hole lubricating and casing while drilling tool and AMC BOS FIX™ – a rapid fill lubricating grout. Together they prevent and combat fluid losses and ensure borehole stability. “The awards vindicate our commitment to enhancing the operations of our global customers and our vision of being the leading provider of real-time subsurface intelligence solutions to the global minerals industry. "The WA Industry and Export Awards provide a unique opportunity to celebrate the breadth and diversity of the State's business community. "While the winning companies are vastly different in industry, focus and size, they all share a commitment to be the best in their field and create jobs and opportunities for Western Australians. "For the export category winners who now go on to represent the State at the national awards, I wish them the very best of luck and have no doubt that they will do Western Australia proud."